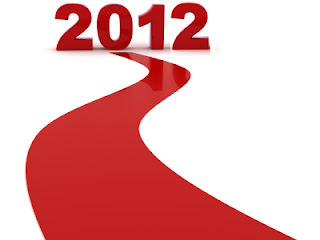 It's only a couple days to the New Year, 2012. With that in mind, it's going to be the Phillies 130th season in 2012 and the hope is starting early that the team can again return to the World Series. The Phillies team may not be the powerhouse that it was billed prior to the 2011 season, but nonetheless the team remains a favorite to win it all in '12. The season will probably not be a 'Perfect Season' for sure, that in reference to Paul Kurtz's book from last year, 162-0: Imagine A Phillies Perfect Season While not perfect, we should see a lot of great things from the Phillies again in the coming year. We'll see Jimmy Rollins staying in a Phillies uniform, Jonathan Papelbon add his own personality to the bullpen as the Phillies closer, and of course still have a formidable starting rotation with at least 3 Aces; Halladay, Hamels, and Lee. We've grown accustomed to great things when the Phillies are mentioned, and that is great. Gone are the days when the team couldn't finish well enough to even think about a trip to the playoffs, let alone a trip to the World Series. The Phillies payroll is only second to the NY Yankees again this year. It's been a great time to be playing for a team that is doing well, and rewarding players with very huge salaries. This team responded last year by winning more games than any other team in baseball, 102. Their early exit from the playoffs left some disappointed and no one more disappointed than the players themselves. On the messaging service called Twitter, many players send short messages about their training habits and quest for another chance at a championship. Shane Victorino is one of those players. He sends out his 'tweets' to be read by all who care to read them. Wake up...Motivated for a great workout for what I do now will pay off when the #grind begins...WS 2012! There is a thirst to win on this team, and the Phillies fans want to experience the celebration of another World Series victory, will 2012 again be the time?